After a long drought followed by heavy rains, California experienced a colorful super bloom in mid-March that painted its landscape with wildflowers in every shade of the rainbow. The colorful backdrop attracted a deluge of visitors eager to see it for themselves, but with all these travelers came a bit of unethical behavior as well. Some people stepped off the established trails and charted their own way through the flowers. Others picked the blooms instead of leaving them untouched for others to enjoy. Despite these undesirable behaviors committed by a few, many people who visited the super bloom sites were aware they needed to act mindfully and with respect. In the age of responsible tourism, perhaps it’s no surprise that people are thinking about mindful behavior when they travel. 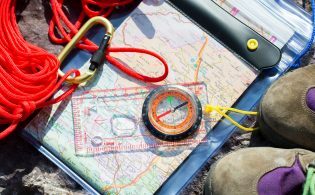 In fact, recent research conducted by OnePoll on behalf of Exodus Travels found 78 percent of survey respondents consider themselves to be more ethically conscious travelers than they were a year ago. In addition, 39 percent have “travel guilt” after taking a trip they now worry may have been unethical. The survey was given to 2,000 Americans who travel internationally. 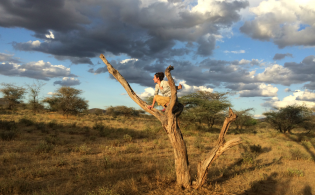 Are your company’s adventure tours wildlife-friendly? Find out more. So what, exactly, are these unethical activities travelers say they wouldn’t repeat? 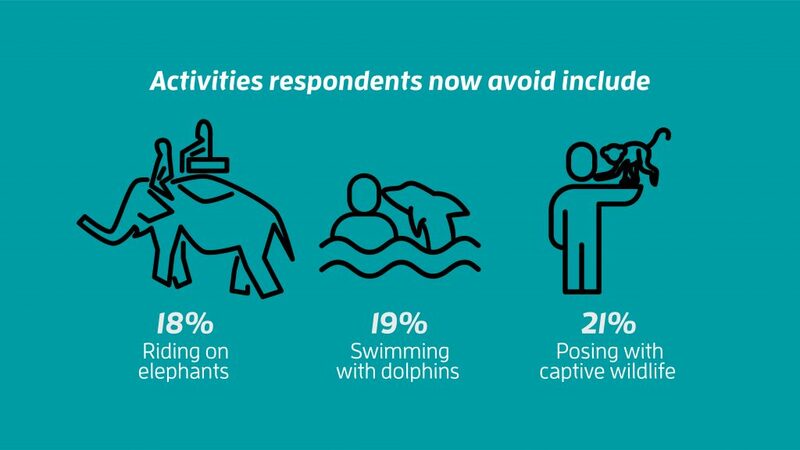 Animal welfare ranked high on the list with travelers saying they would not participate in activities such as posing for photographs with captive wildlife (21 percent); swimming with captive dolphins, sharks, or whales (19 percent); riding elephants (18 percent), and buying products made from ivory or other endangered species (17 percent). 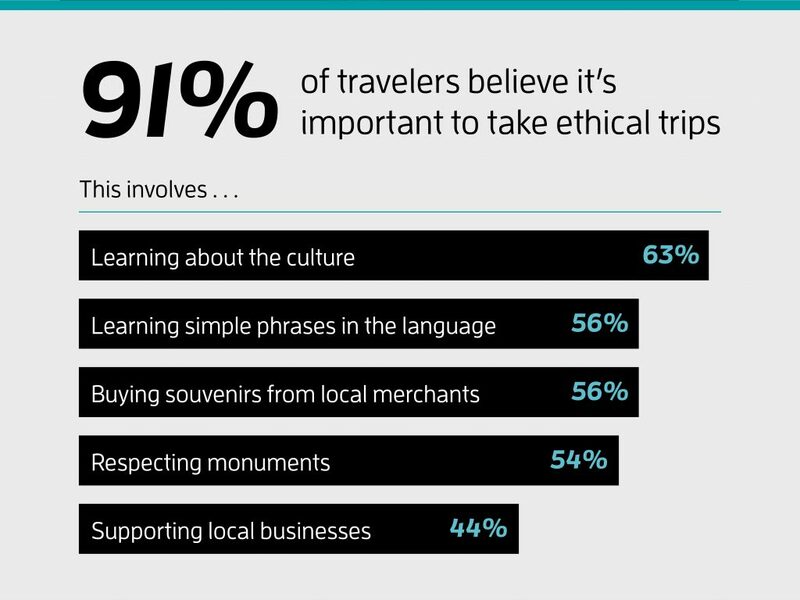 Responsible tourism also includes appropriate interaction with locals, and survey respondents said they’d avoid staged cultural visits (20 percent) and slum tours (18 percent) in the future. 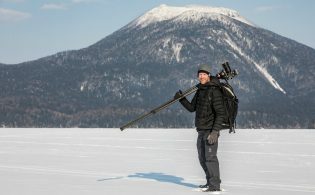 As they become more aware of responsible tourism practices, travelers have also formed an idea of what it means to take an ethical trip. This includes learning about the culture (63 percent), learning simple phrases in the language (56 percent), and buying souvenirs from local merchants (56 percent). 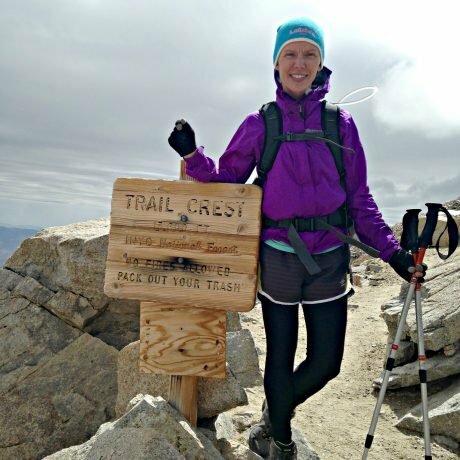 Luckily for all those wildflowers in California, it also includes following the Leave No Trace principles (30 percent). In order to ensure they’re taking ethical trips, travelers are seeking out tour operators who meet their standards of responsible travel. 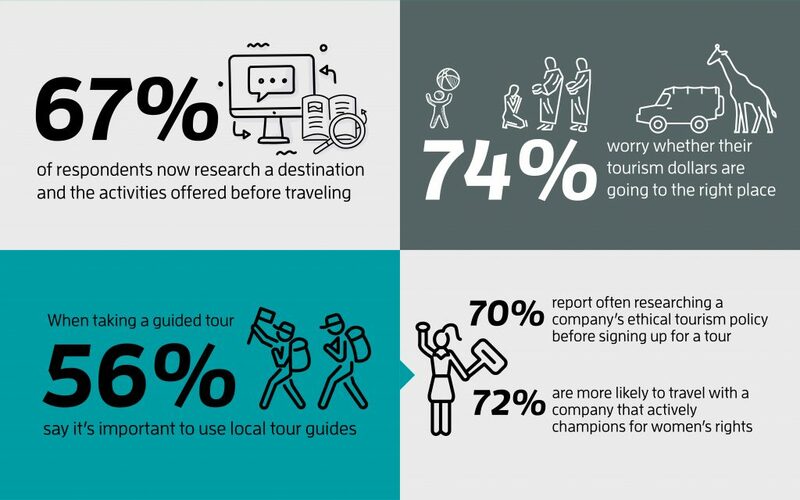 Seventy-four percent of respondents worry whether their tourism dollars are going to the right place, and 56 percent of respondents want tour companies to use local guides. 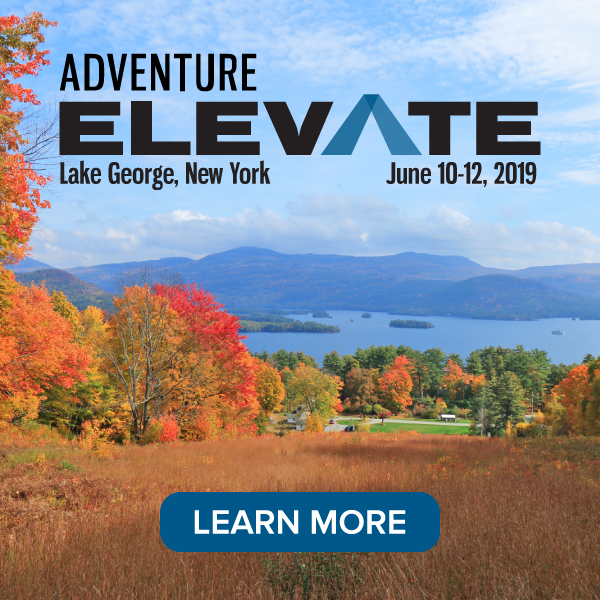 They’re also looking for tour companies to have responsible wildlife policies (57 percent) and an ethical tourism policy (52 percent). To ensure their trips are, in fact, ethically responsible, the average respondent would be willing to pay 33 percent more for a trip. El realizar un turismo confortable es un razonamiento ético que debe practicar cada operador turístico, el compromiso del turismo es hacer que la sociedad o comunidad o pueblo se beneficie al promocionar sus lugares preciosos que cada uno de ellos posee, el viajar y hacer deporte en un ambiente natural nos recarga de energía y limpia el pensamiento al crear consciencia de la naturaleza que lo rodea al ser humano y que viajero se siente satisfecho al sentirse parte de esta creación, salvaguardar su existencia y velar por la continuidad de un viaje sostenible es tarea del ser humano.